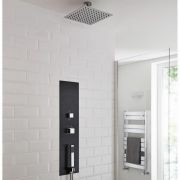 The Milano Lisse concealed thermostatic shower tower and 400mm square shower head will add contemporary style to any bathroom or en-suite. 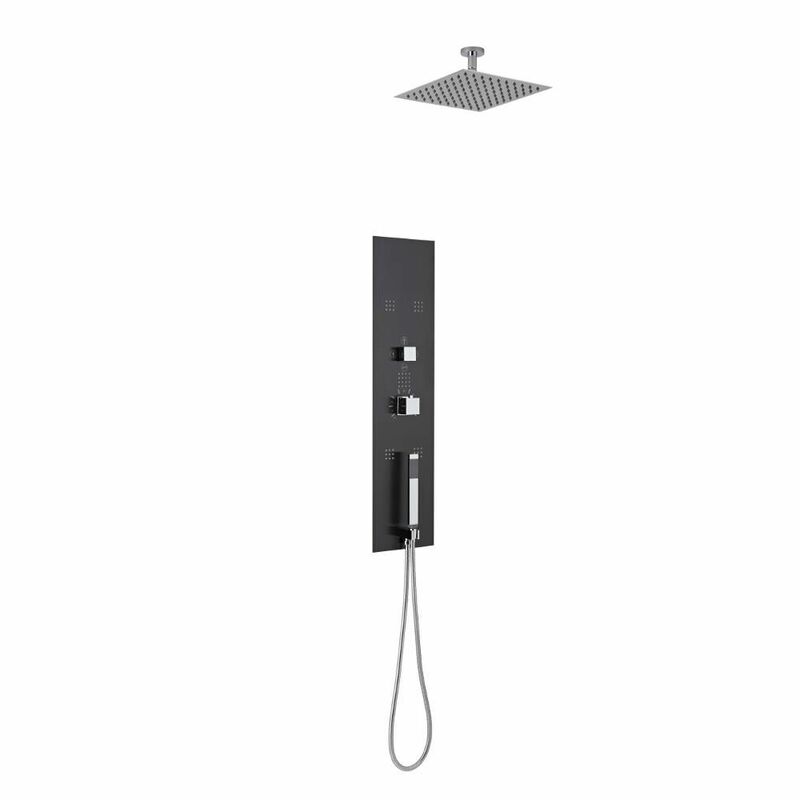 Made from stainless steel, the shower panel features a black/chrome finish and a concealed design for a sleek, streamlined look. 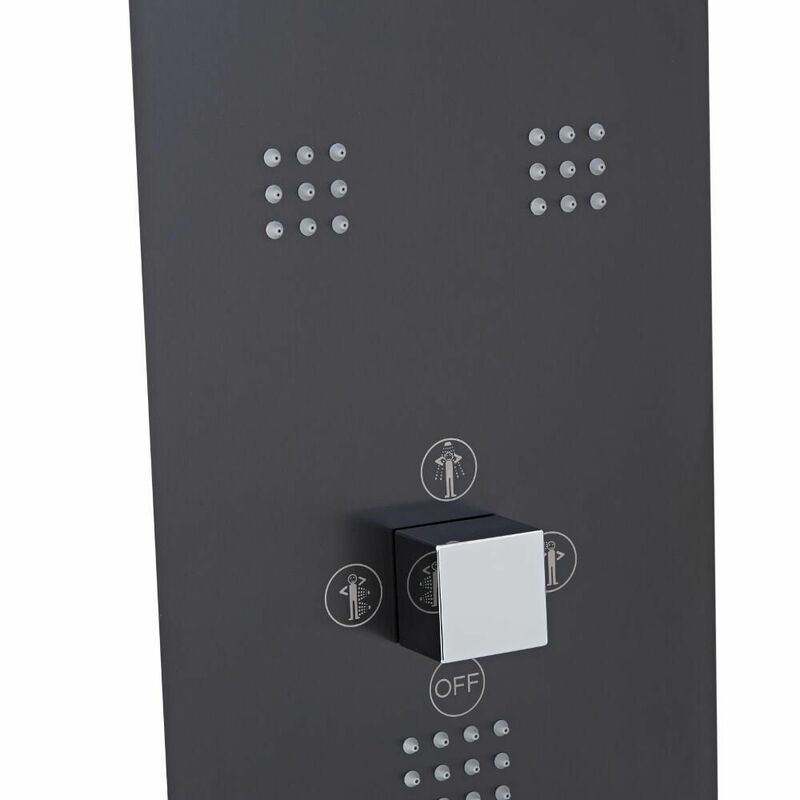 The panel incorporates four massaging body jets and shower handset. 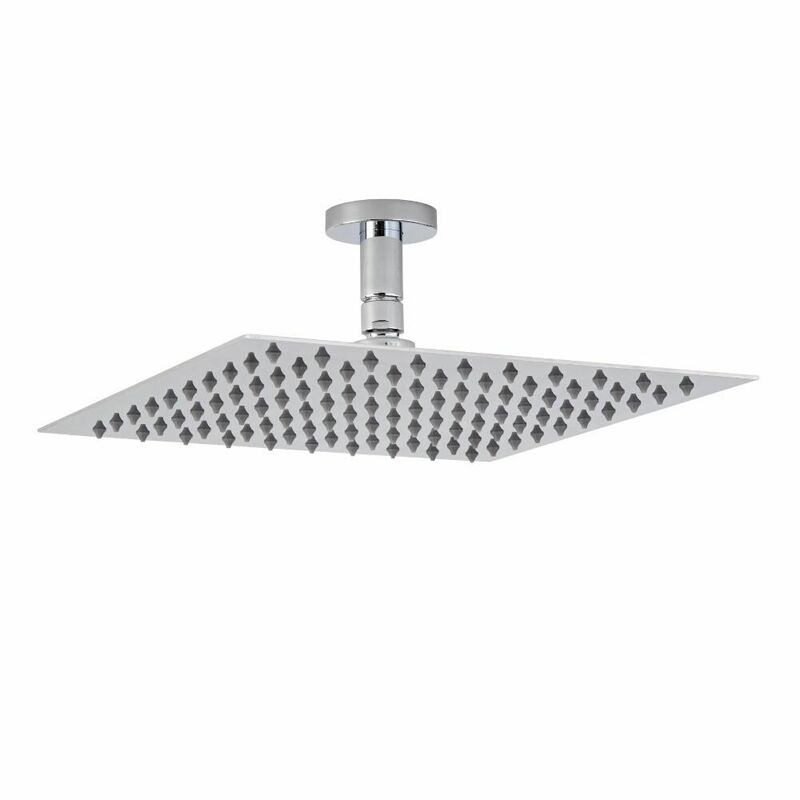 Featuring a chrome finish, the shower head delivers a refreshing rainfall effect to awaken your senses. 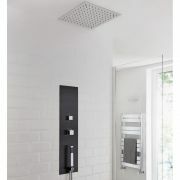 It has easy to clean silicone nozzles and an ultra-thin design.